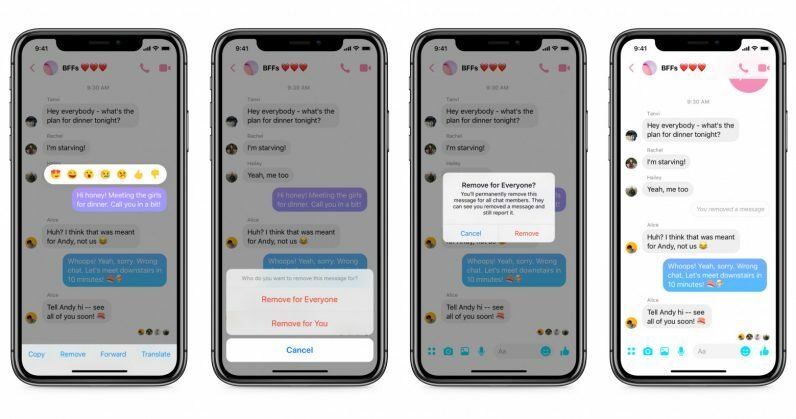 Back in April, we reported that Facebook was planning to implement a feature in Messenger to let you unsend messages. After multiple trials, the feature has now been rolled out to users in a few countries. The ‘unsend’ feature for Messenger was promised seven months ago when Facebook secretly removed some private messages sent by CEO Mark Zuckerberg. In the past few weeks, screenshots of the new feature surfaced along with an updated preview that was released last week. What causes you to use or wish for an unsend button in messaging apps most often? Let us know in the comments.